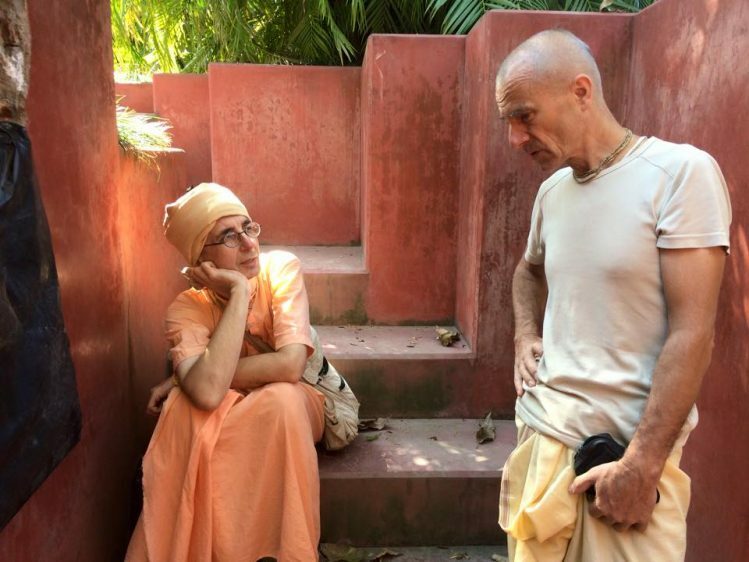 If you have a little bhava for Aindra Prabhu you should follow his rules for Kirtan which according to Martanda Prabhu are not so difficult to remember. In this episode of the Kirtan Standards series he explains among other things that Karatalas are very important, but that Mridanga is the heart of the Kirtan. 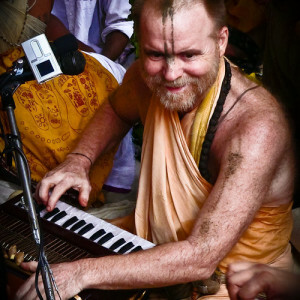 Martanda joined the Sankirtan movement in 1992 and met Aindra Prabhu for the first time in 1997. He recently relocated from India to the city of Krakow in Poland where he was born and raised. 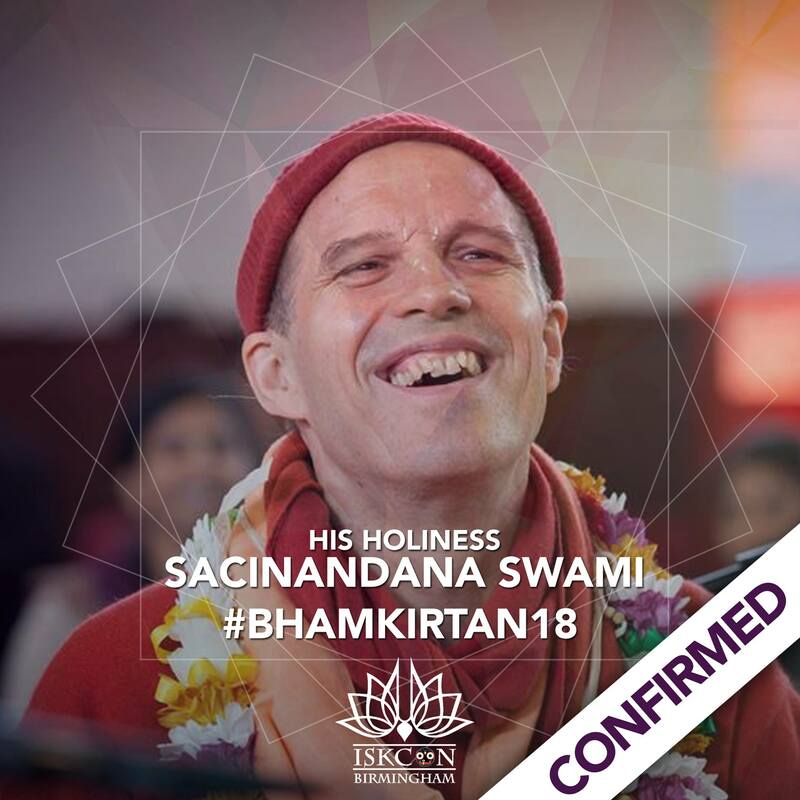 In 2017 he spent 4 months in New York City with Rama Raya and the NYC Harinam devotees doing 6 hours of Kirtan seva daily. He just got married last month at Indulekha Sakhi Mandir in Anjanoka, close to Varsana, and is currently observing the Purushottama month in Sridham Mayapur before going back to Poland. 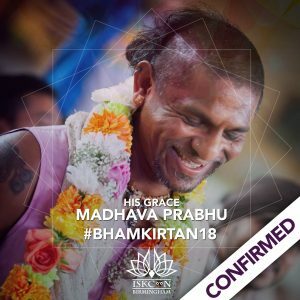 As always, this episode also contains various Kirtan event updates. 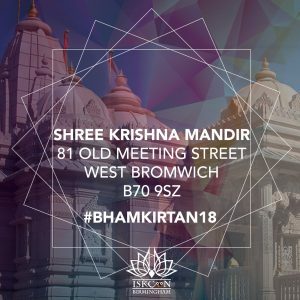 One of the oldest European Kirtan festivals is the Birmingham 24 Hour Kirtan which took place for the 19th year in a row on May 5 and 6. The organization team wrote on their Facebook page, that 1750 free tickets were booked. 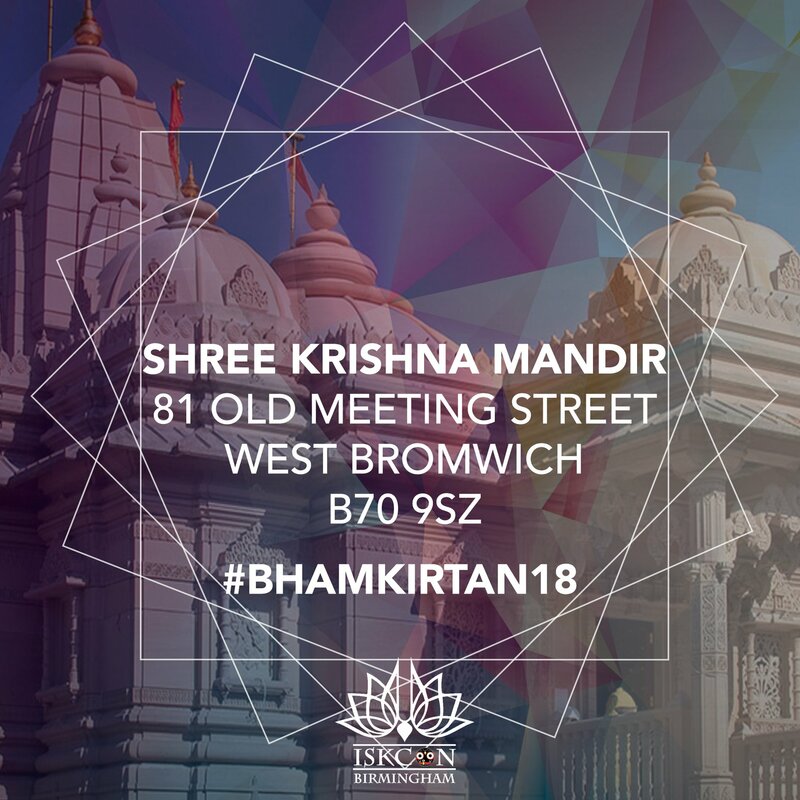 Madhava Prabhu has been part of this festival since the beginning and he also led the final Kirtan on Sunday evening.